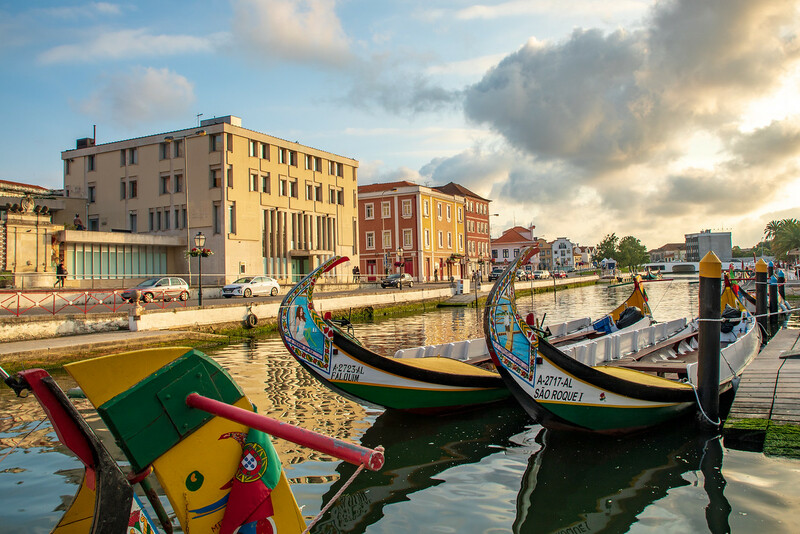 The town of Aveiro is often described by guidebooks as the Venice of Portugal. 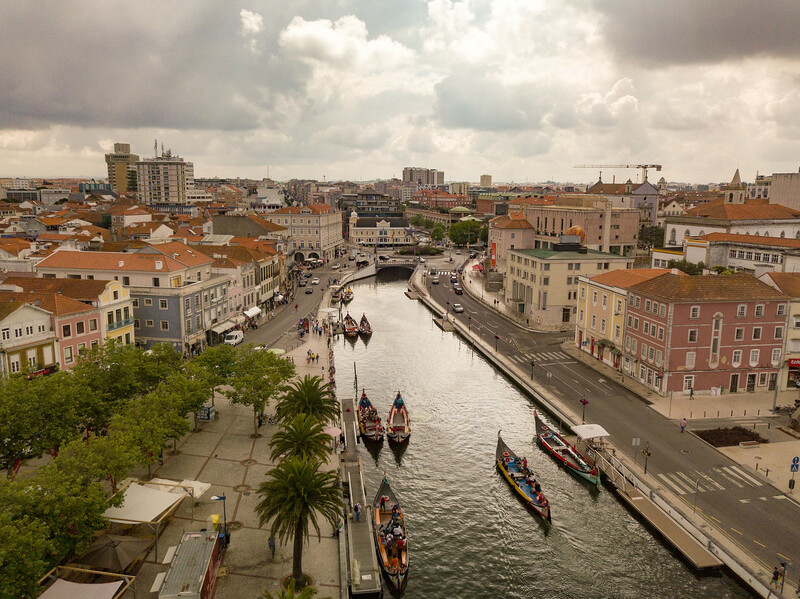 If you visit Aveiro expecting Venice, then you will probably be disappointed. 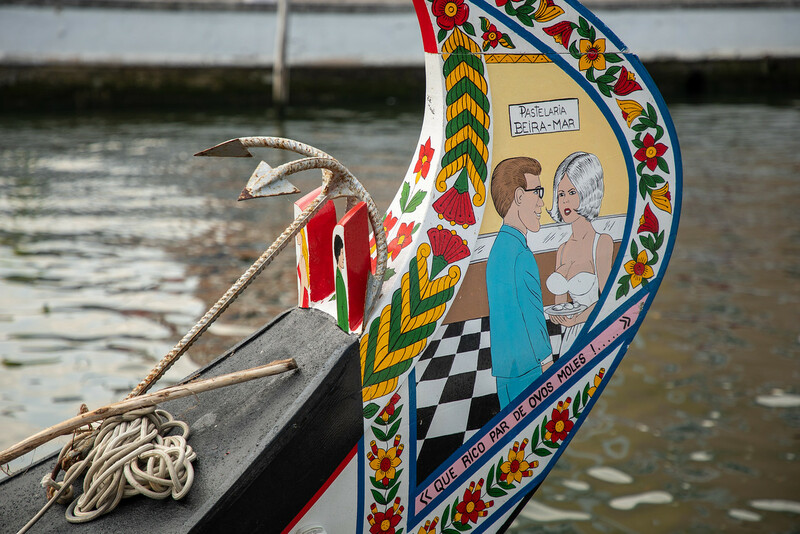 So adjust your expectations and look forward to experiencing a charming, relaxed city with its three canals that run through the historic centre and its brightly painted boats (not gondolas!) which many feature some rather saucy paintings on them!! Add some interesting Art Nouveau buildings and churches, and this is Aveiro. It’s actually quite a nice place and well worth staying a night or two. We were told that you can’t say you have visited Aveiro if you haven’t tried the local delicacy Ovos Moles de Aveiro. So we sat down for a coffee by one of the canals and tried this so-called delight. 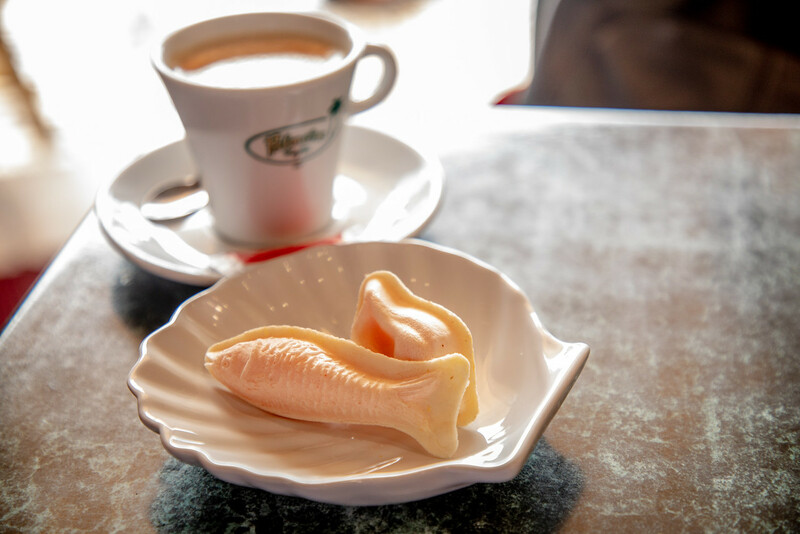 It’s made from sweetened egg yokes and wrapped in a thin candy wafer and styled as a fish or a barrel. Originally produced by nuns who used the egg whites to starch their habits, and who were then left with a significant amount of egg yolks, so it seemed like a good idea to make cakes. Let’s just say it’s an acquired taste and I have a sweet tooth! Heading out of Aveiro and just on the edge of town, is the Troncalhada Eco-Museum. 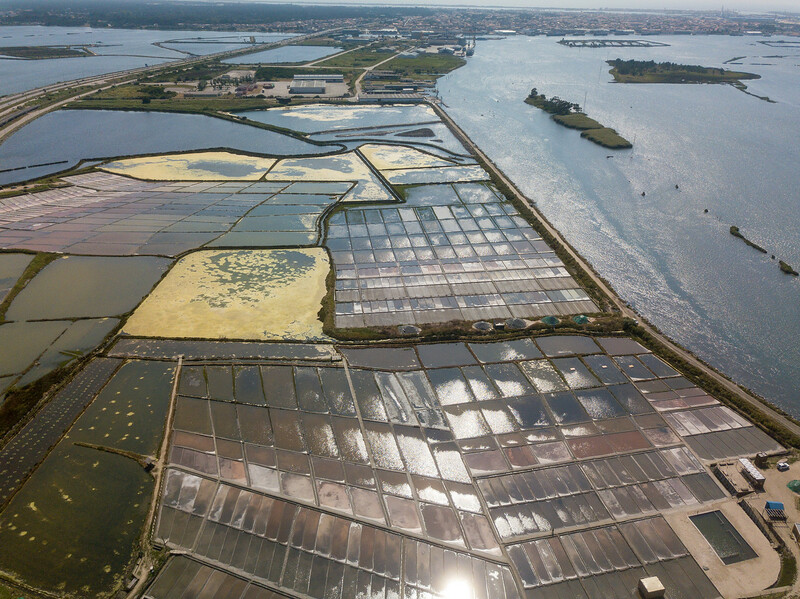 Salt production was once a significant industry in Aveiro, but now only a few salt ponds remain. At the museum, you can learn about how they extract the salt. It’s actually a lot more interesting than it sounds. The nearest beaches to Aveiro are Costa Nova and Barra. If you don’t have your own transport, both beaches are easily reached by public transport. The first beach is Barra which is around nine kilometres south of Aveiro. It looks quite a lovely beach town but we hadn’t come to enjoy the beach, we wanted to see the lighthouse. 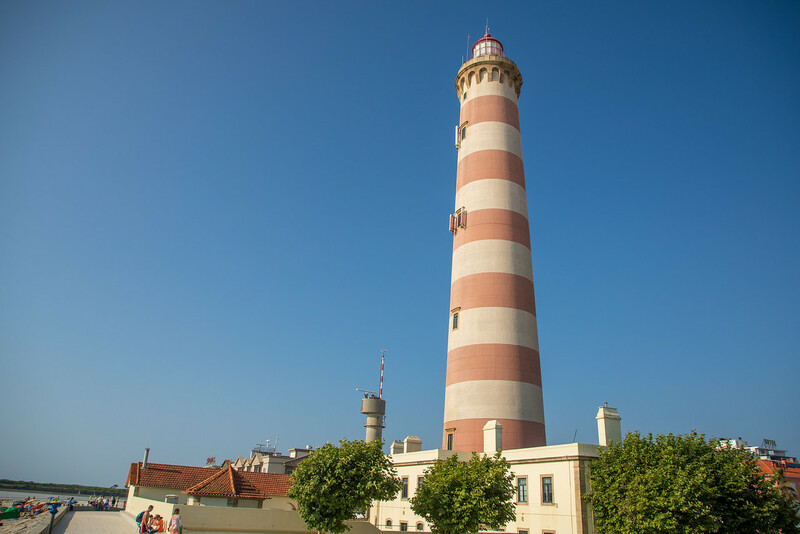 The Barra Lighthouse is the tallest lighthouse in Portugal and one of the tallest in Europe. It is located at the point where the Aveiro Lagoon meets the ocean. Have You Seen the Real Mexico? The lighthouse was built in the 19th century and stands more than 60 metres above sea level. It was built in 1893 and was needed because the coastal area is so flat here, it gives the impression that you are further from land than you actually are. On Wednesday afternoons throughout the year, it is possible to climb the 283 steps to the top, apparently the views from the top are great, and it’s free of charge. Alas, we weren’t there on a Wednesday. A short drive or a 15-minute walk from Barra Beach is the beach town of Costa Nova. 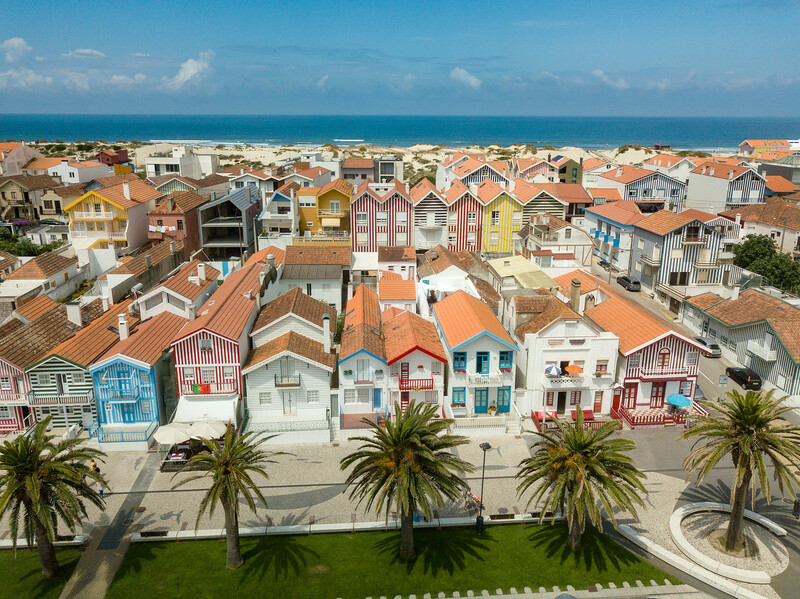 Costa Nova is famous for its colourful candy striped houses that face the lagoon. These houses known as palheiros were originally the huts of fishermen, a place where they could store their fishing equipment and provide shelter. During the 19th century, Costa Nova became quite a popular seaside resort, and the poor local fishermen would rent them out to tourists over the summer season. The houses are really very pretty, and despite being so popular on Instagram, the seaside town of Costa Nova is still very low-key. 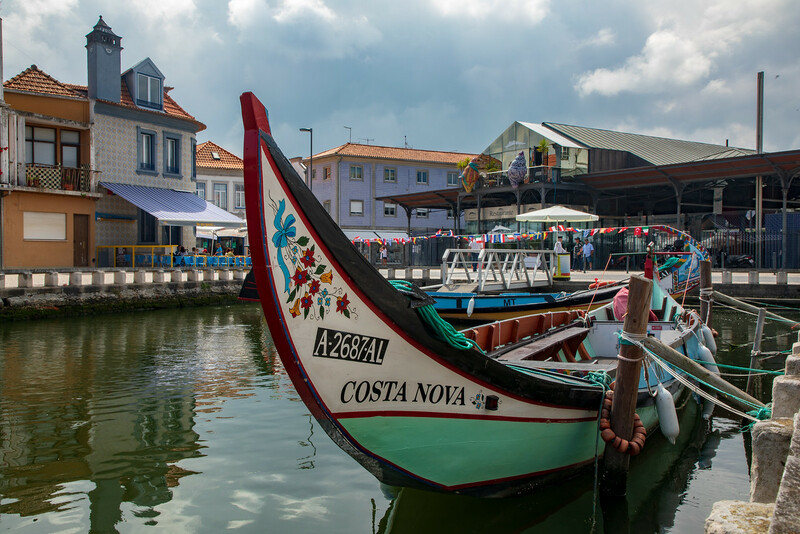 Both beach towns are excellent for swimming and both Barra and Costa Nova back onto the Aveiro Lagoon where you can do many water sports such as paddle boarding, sailing, rowing etc. Buses depart regularly from the Rossio area in Aveiro or near the train station and take about 40 minutes. As at July 2018, the ticket costs €4,80 return. If you are visiting Aveiro during the summer months, you need to make a side trip to the historic town of Águeda, just 30 minutes away. Why visit Águeda? You must have seen photos on Instagram and in magazines. This town is famous for its umbrella sky project where hundreds of umbrellas create a colourful canopy over the streets of the village. It’s charming and a fun place to spend a couple of hours. Be sure to bring your camera with you. If you don’t have your own transport, trains run regularly from Aveiro Train Station, takes just under 40 minutes and as at July 2018, costs €2.15 each way. We drove, but it’s straightforward to visit Aveiro using public transport. It actually makes a great day trip from Porto or Coimbra and can easily be visited by train. It would be too far to do as a day trip from Lisbon. But if you have time, consider staying the night. We stayed at Aveiro Muzi hotel. Nice quiet hotel, just €50 a night, included breakfast, easy parking and just a short walk to the centre, but there are hotels in town to suit all budgets. We usually book our hotel accommodation through Booking.com. Contact us, and we can give you a referral link that will give you a €15/£15/$15 refund on your hotel booking after your trip and us too. It doesn’t have to be Aveiro, it can be any hotel featured on their website. A win-win situation! That is a good write up on Aveiro. Thank you Gene! Aveiro made a fun day trip. Heading to Portugal in September, so I will definitely check this place out, it seems like a great discover! You should! Although I think the umbrellas is just for July! 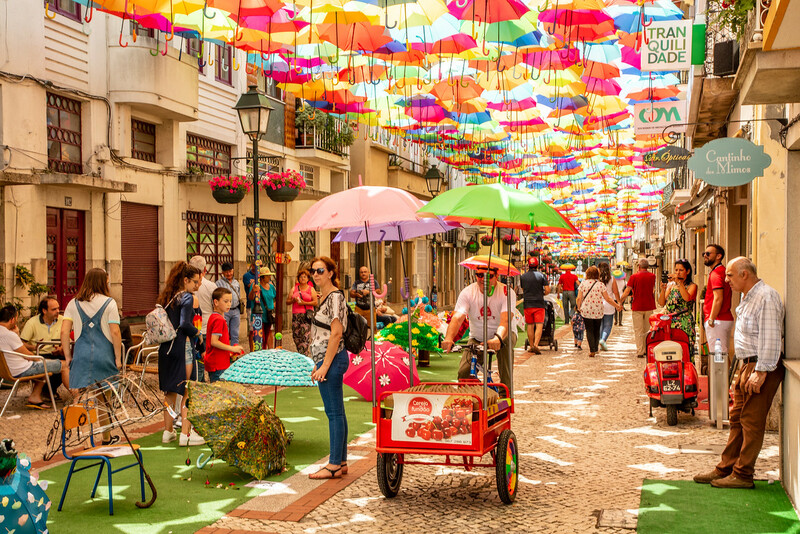 Aveiro looks so colorful and fun! I love the candy striped houses and the umbrella sky project. I’ll definitely try the Ovos Moles de Aveiro, even if it is an acquired taste! I love the photos! The is a beautiful post and has me looking into a trip ASAP. Thank you, it’s well worth a visit. Thank you, it’s just something they do there for the summer months. I think they should keep all year round. I must say you just made me fall in love with Portugal. I really want to visit now. Your photography too is lovely. Thanks for sharing your trip. Portugal is a very beautiful country, you must try and visit! I love this! 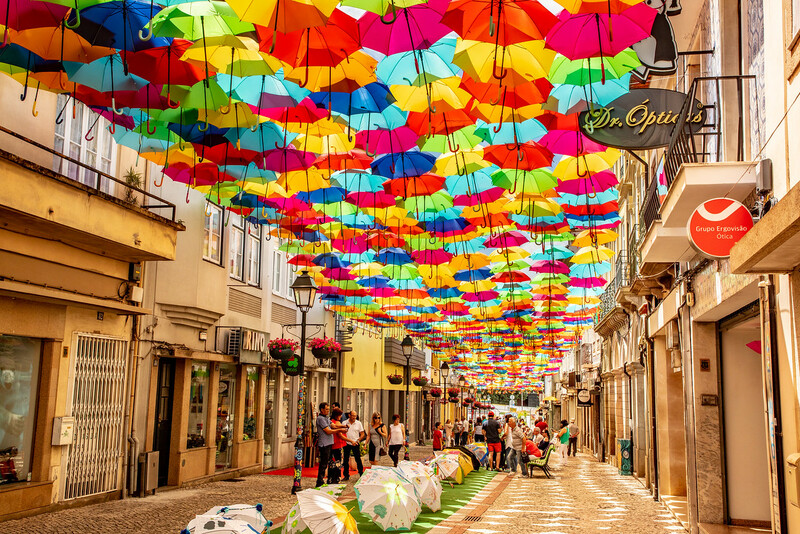 So this is where the Umbrella Street is in Agueda! Now I know! I absolutely love those candy-striped houses and the Ove Moles dessert has my name on it big time. Lol. I’ve pinned it for my travel aspirations and I loved the write up. Yes, it took us a while to track down where the famous umbrella street was too. You see the pictures everywhere! We love Portugal and now have another destination to add to our list. Will be back next summer and will set this as a goal. Great pictures – thanks. This looks like some movie location. Loved all your shots, they convince me to run to Portugal soooon. haha I wish one day I would surely visit this place. Portugal seems such a vibrant city. I really loved the colorful artworks on the boats. It would be great if I could climb up those stairs up to the light house to catch this amazing and lovely glimpse of the city. I would definitely consider visiting there during summers. Yes, this part of Portugal is very quiet during the winter months. To see the boats etc, you need to be here in the summer. It looks like such a colourful town! We’ve only just started looking into Portugal as a country to visit so I’ll be keeping these places in mind when we look to travel there! 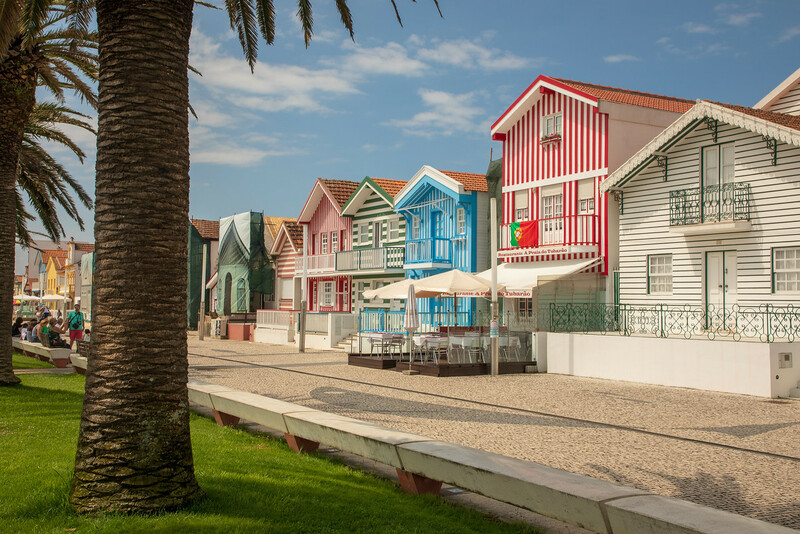 I was in Aveiro last year, but never made it to the striped beach houses. What a shame! They look like a great photo op! Yes, the first time we passed through Aveiro in the middle of February, we weren’t overly impressed but then we started seeing photos of the boats, umbrellas and stripey houses and realized we needed to revisit but in the summertime! Your photos are beautiful! We went to the Azores this past winter but this is making us want to visit mainland Portugal. I only went for the first time to Portugal last year! I still have so much to explore clearly! 🙂 Also this umbrella alley is dreamy! Portugal is so lovely and colorful! It is high on my bucket list. bAsically waiting for a nice company to go with. WOW! What an amazing-looking place…I love all the colors! The shot with the umbrellas over the street is really cool. I’d probably pass on the Ovos Moles de Aveiro…doesn’t sound like my thing LOL. Great post.